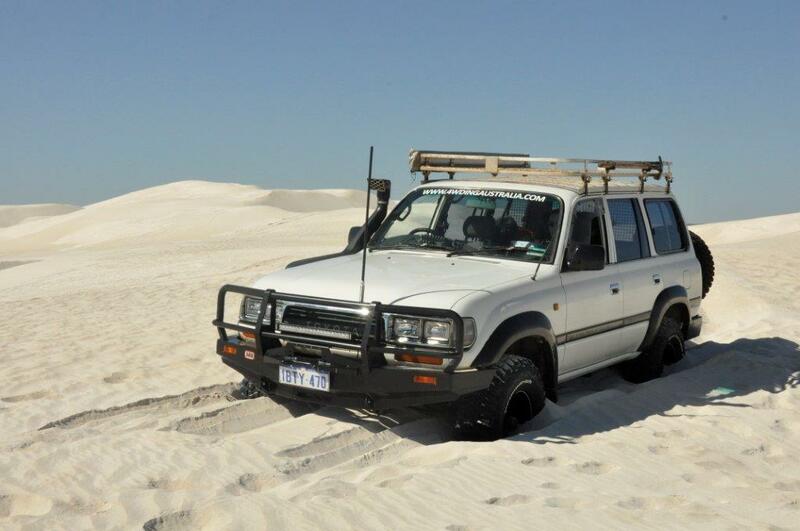 Years ago, there were plenty of beaches you could take your 4WD to around Perth. Now though, houses continue to get built, and the number of beaches you can drive on are diminishing! Particularly in the northern suburbs, there are beaches you might be able to drive on, but if you have to go through a development, or drive near new homes, you are probably going where you shouldn’t be. This is a bad idea, for two reasons. One, you are likely to get caught by the ranger and given a hefty fine. 2, you give the honest 4WDers a bad name; keep out of places you aren’t supposed to be in. The number of people who get recovered off the beaches around Perth is truly phenomenal. In many cases, it could have easily been avoided. It comes down to making a few crucial mistakes, which you should be aware of before you head off! The most common mistake is not letting your tyres down enough. Tyre pressures are critical, and if they are too high, you will get bogged, and you run the risk of losing your vehicle to the tide. 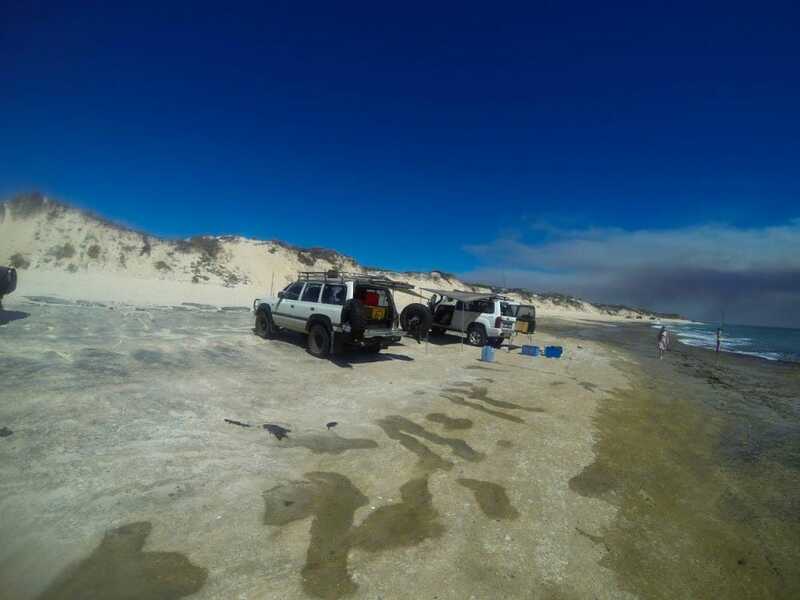 For the beaches around Perth, I recommend starting at 16 PSI (unless your car weighs over 3.5 tonnes!). 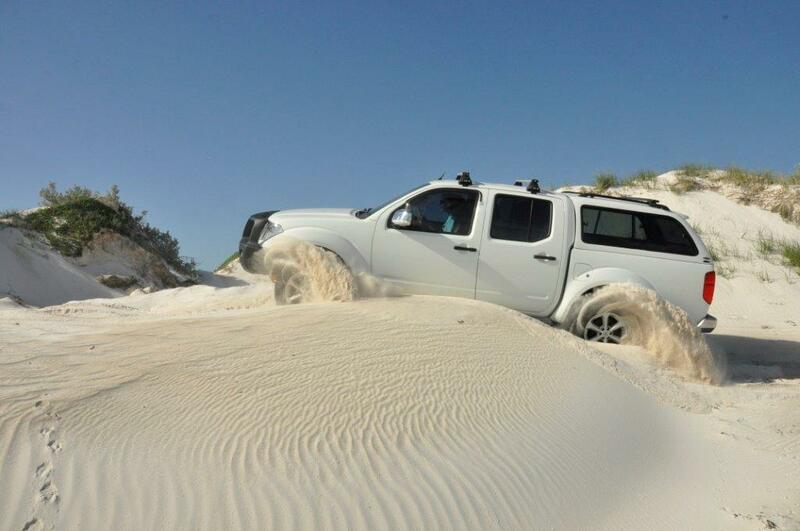 Have a read of The best tyre pressures for beach driving. You shouldn’t take your 4WD off the bitumen without rated recovery points. 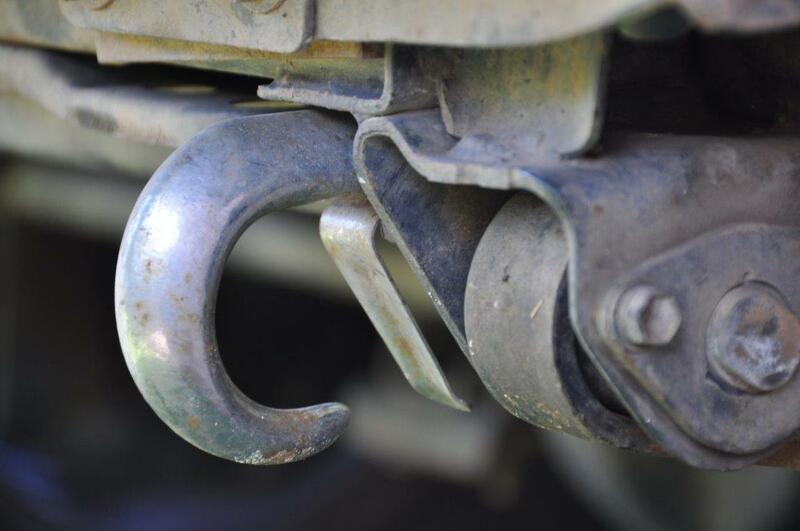 If you get stuck, you run the risk of seriously damaging your 4WD trying to have it recovered. Have a read of Rated Recovery Points for further information. Are your recovery points rated with a WLL? 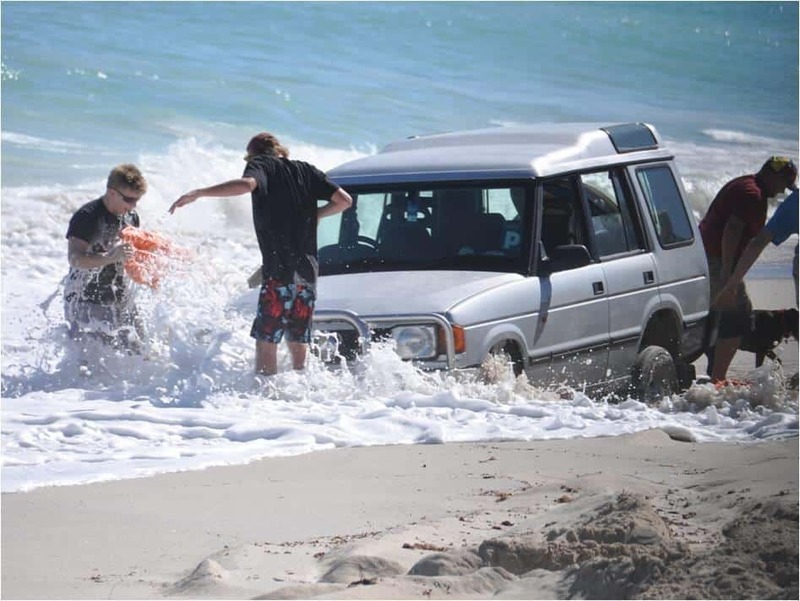 If you’ve never locked the hubs before, or put your car in 4WD, its imperative that you learn now, before you are watching your vehicle sink as the tide rises. Understand tyre pressures, how to perform a safe recovery, where to drive on a beach, what gearing to use, how to lock your hubs, how to engage low range and what you should do if you get stuck! A lot of the beaches around Perth are not very wide. Pick the wrong time of day to cruiser up the beach and you may end up stuck for several hours waiting for it to recede, or worse. Have a quick glance at the tides (seabreeze.com.au) before you go, so you can factor them into your beach driving. Getting stuck near the water is one of the worst 4WDing experiences you can have. If its so hard to look after these amazing beaches, please stay at home. There’s no reason to leave your rubbish behind, or rip the tracks up. Respect these places and they will stay open. Be aware that the beaches change rapidly, and will not be the same every time you visit. I’ve been to some of the beaches down south and had 50 meters to drive on, and other days you’ve barely got enough for a single car. 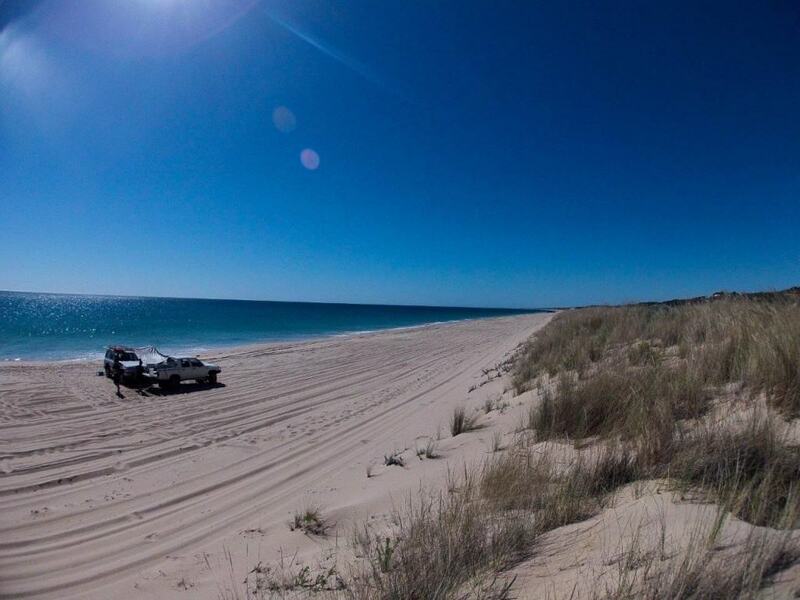 As of today, Wilbinga is the closest beach you are legally allowed to drive on with your 4WD. If you get caught driving anywhere else that is closer, you will be in for a rude surprise (and an empty wallet!). 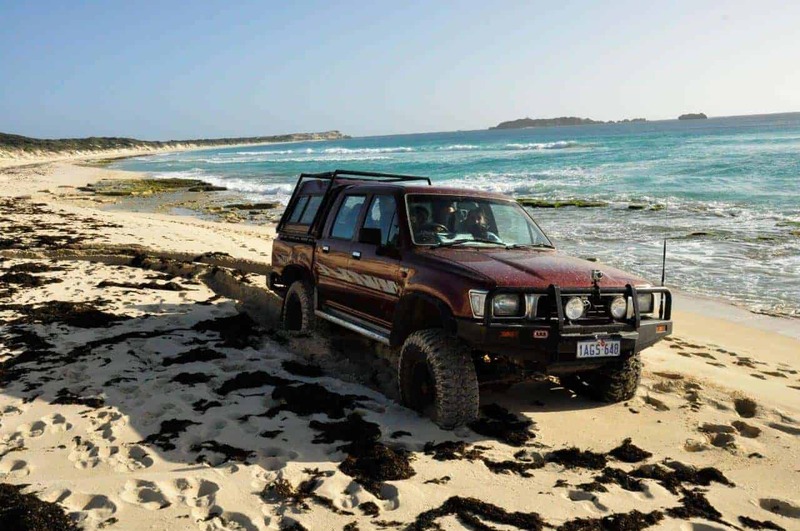 The 4WD track to Wilbinga starts off Indian Ocean Drive, and is extremely popular, for good reason. 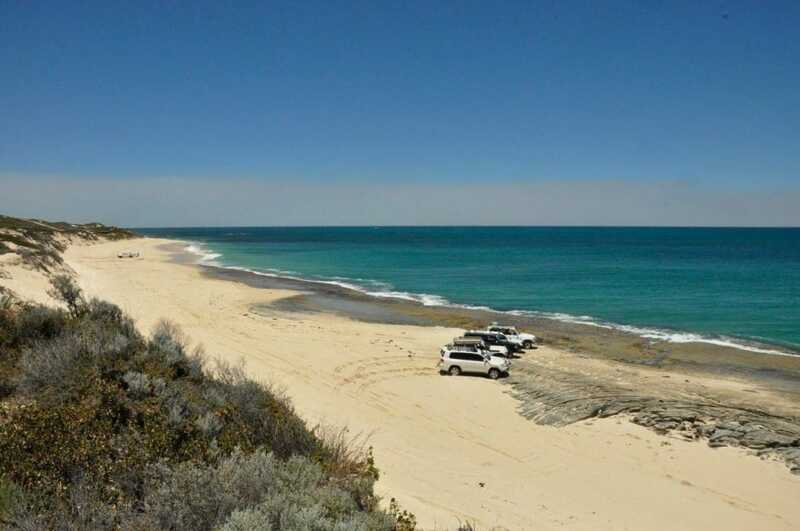 It’s got dunes, good fishing, snorkeling and more 4WD tracks than you can poke a stick at. Just remember to stick to the tracks, and stay in the area that the map displays. Wilbinga is a really well treasured 4WD spot, so look after it, and future generations can keep using it. Stay out of the shire of Gin gin, or the two rocks side as this is now not permitted for 4WDers. You’ll find this a few hundred metres south offlat rocks. You can get onto the main beach at Moore River, on both sides. However, the southern side is not accessible from Moore River itself. A lot of the land around Moore River is private property, and trespassing is forbidden. The owners were happy enough for people to respectfully use their land, but too much damage has been done and they are now less than impressed if they catch you on their property! If you see a fence, please keep out. I don’t have a problem with land owners stopping people from going onto their land, and neither should you. Just past Moore River is Seabird, a 103km drive from Perth. You can drive on the beach here, but I can’t give you any further information. I’ve never actually been there! 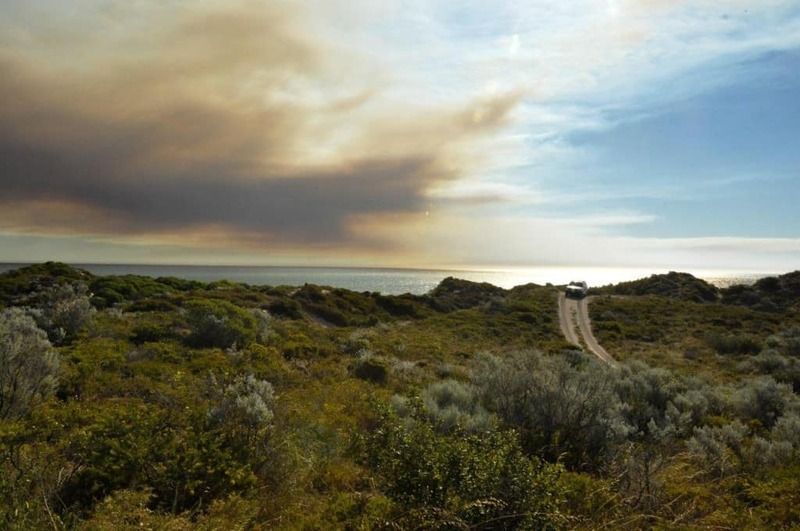 Ledge Point is just south of Lancelin, some 120km north of Perth. You can drive south of Ledge Point along the beach for quite a distance. You can also drive from Lancelin south, but you won’t be able to drive into Ledge Point; its blocked off by big boulders. 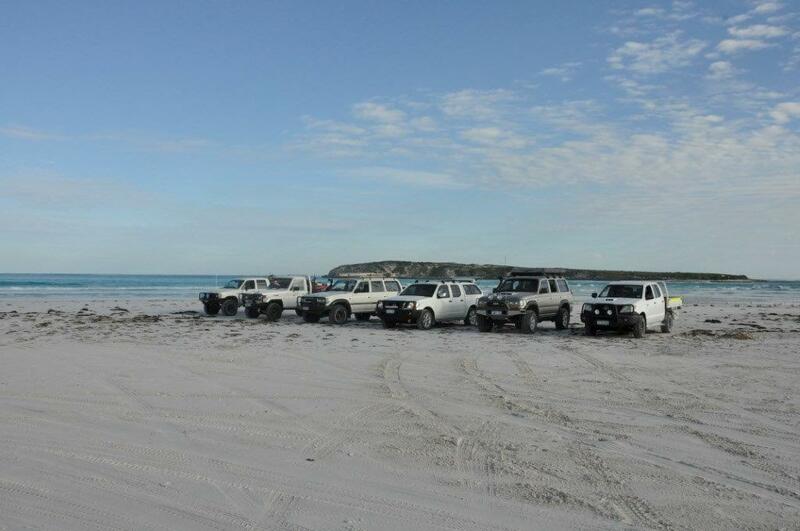 Lancelin is a very popular 4WD destination. You can drive on the beach at the boat ramp and from the southern beach south, all the way to Ledge Point. 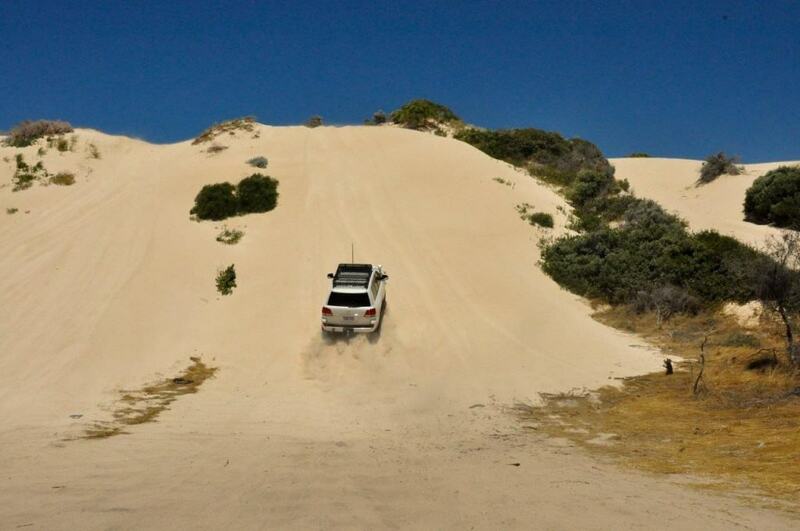 Alternatively, you can head to the off road area and play in the dunes, or drive along the beach to Wedge Island. Watch this beach though; it can be very nasty at different times of the year. 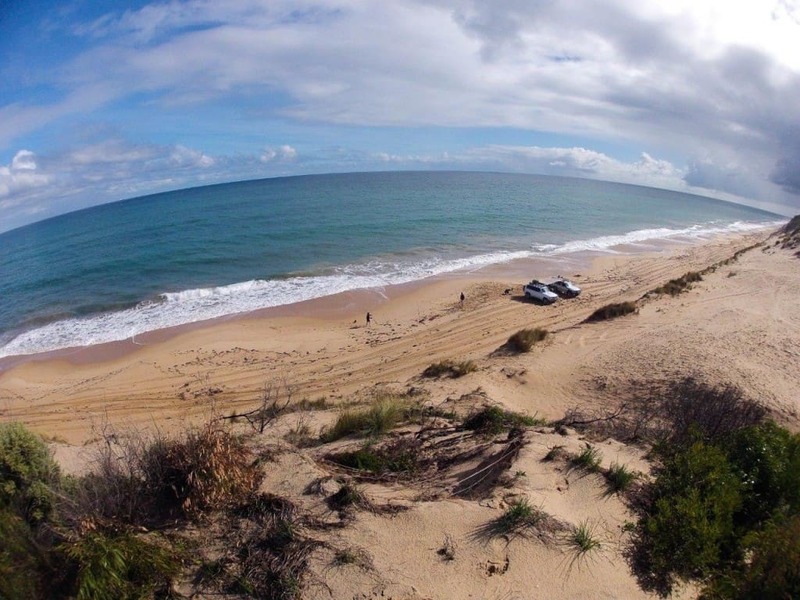 Tim’s thicket is the closest beach south of the river that you can take your 4WD on. There is a rocky outcrop here which is almost always getting wet with salt water. I’d suggest you don’t drive through salt water, but many choose to. White Hills is just south of Tim’s thicket, and is accessed by a gravel road. This is probably the most commonly used beach south of the river, and it is quite long. If you head south from White hills (tide permitting) you can drive all the way to Preston Beach and beyond. Preston Beach is a bit further away, down Forest highway. It’s still quite close, and easily worth going just for the day. Preston is another beach that is popular for fishing. 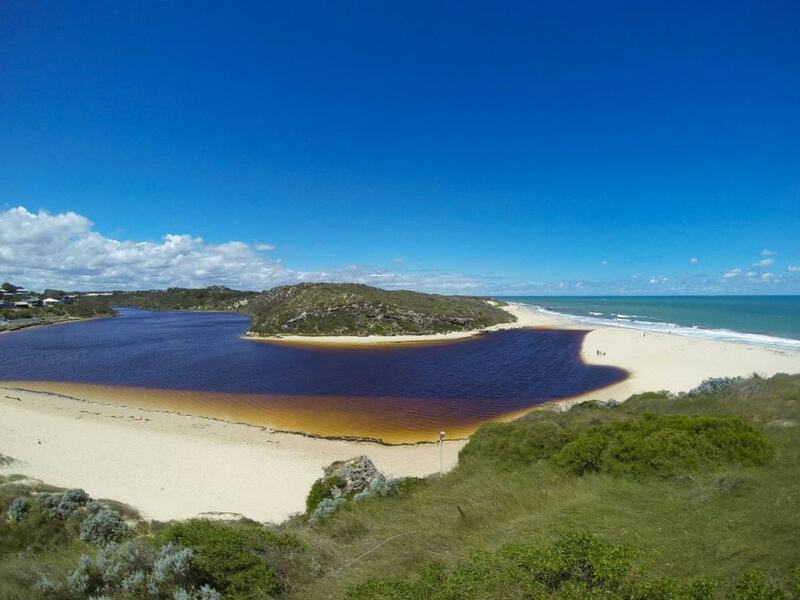 Myalup is another great beach, in between Preston and Belvidere. We’ve got a heap of coastline you can drive down, if you want to enjoy kilometer after kilometer of beach! This is a beach that I fell in love with last year. It’s not the prettiest, but its much quieter, and you can camp at some great DPAW camp sites not too far away from the beach. We landed a few salmon here, and had a great time. You can drive north of Belvidere to Buffallo beach, and eventually Biningup beach. 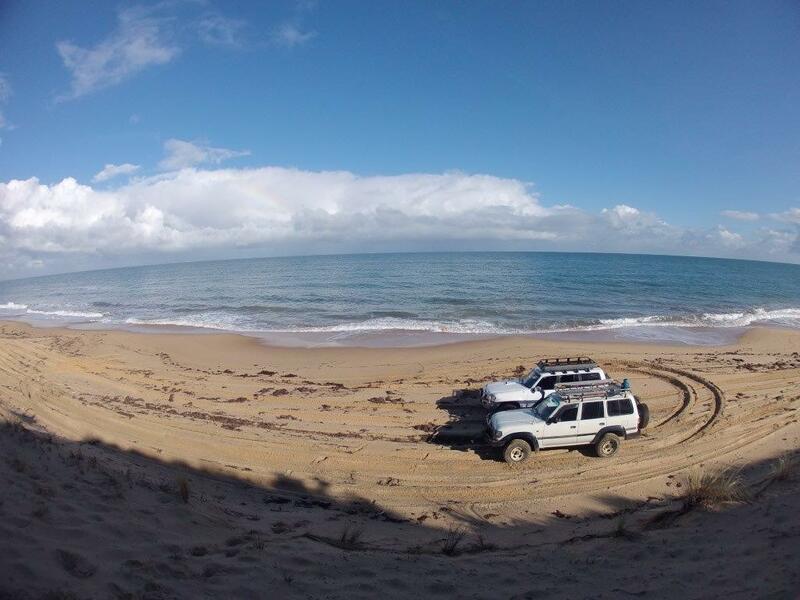 We are incredibly lucky to have access to so many amazing beaches by 4WD. Nothing beats taking the family down to a local beach to relax, wet and line and enjoy yourselves. So, what are you waiting for? !